The Ethics Resource Center in Washington DC has revealed some interesting and disturbing facts about ethics, or the lack of them, in the workplace. Of the 120 million who walk into a workplace each day, and over the course of a year, nearly half of them will have witnessed first-hand some kind of ethical breach. That’s a pretty discouraging statistic that warrants a closer look. Misuse of company time. This can take all kinds of different forms, from entering more hours on a timesheet than were actually worked to covering for a colleague who came in late. It also includes conducting personal business from work – and that doesn’t mean calling home to get an update on a sick child. That would be considered acceptable, but answering emails from prospective clients for your after-hours freelancing career, not so much. Abusive behavior. Nearly everyone has worked for a nasty supervisor or abusive manager at some point in their working lives. It’s frustrating because as long as it’s not fueled by race, gender, ethnic origin, religion or other “protected class” characteristics, there’s not much that can be done about it – being a jerk isn’t illegal. But it doesn’t make it right, either. Theft. From doctoring expense reports to be more than they should be to helping yourself to supplies that you take home for personal use, employee theft is one of the fastest-growing forms of crime according to the FBI. In fact, one out of every 40 employees was caught stealing from employers in 2012, leaving one to wonder how many weren’t caught. Lying. This one is more about employees being lied to by managers and supervisors. It’s surprisingly common, and damages any hopes for trust in the workplace, lowering both morale and productivity. Cyberslacking. This is about violating a company’s Internet policy, assuming there is one. It’s another misuse of company time, but has become prevalent enough to warrant it’s own bullet point. As a matter of fact, a whopping 64% of employees spend time visiting websites that have nothing to do with their jobs. With the increasing popularity of BYOD (bring your own device) policies, this one won’t be going away any time soon. But those are all pretty straightforward examples of things that are, at least for the most part, clearly unethical. But what happens when things get a bit more gray? Take, for example, the dilemma of taking credit for other people’s work. Rarely does everyone on a team put the same effort into a project. If you have a five-member team and three people did all the work while the remaining two didn’t do much of anything to contribute, how should that be handled? Is it unethical for the two slackers to ride on the coattails of their team members? Should the other three point out who did the work and who didn’t? Either way seems sure to lead to resentment on the part of some of the team members. It’s in situations like these where the answers are less clear that it’s important for people to know how to think about ethics. After all, ethics serve as a kind of guide to our daily behavior to make sure we’re abiding by the rules, values, and principles an employer has (hopefully) laid out for the company and all its employees. But how many employees, when asked, would be able to tell what it even means to think ethically? Luckily, there’s a course that can help. eLeaP’s Compliance is Just the Beginning: Ethical Situations to Consider course (ID: ETC024) is a great place to start. 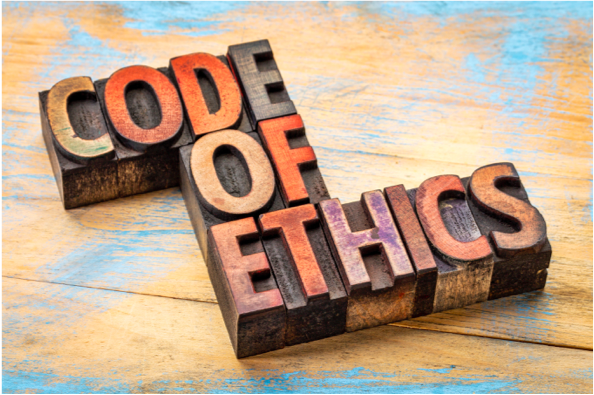 This training presents ethical situations for the viewer to consider, and shows the viewer three easy steps to provide themselves and their workplace with safe and legal steps of ethical thinking. Sign up now for a free preview of this course.